Did this piece during a professional development at the Memorial Art Gallery. 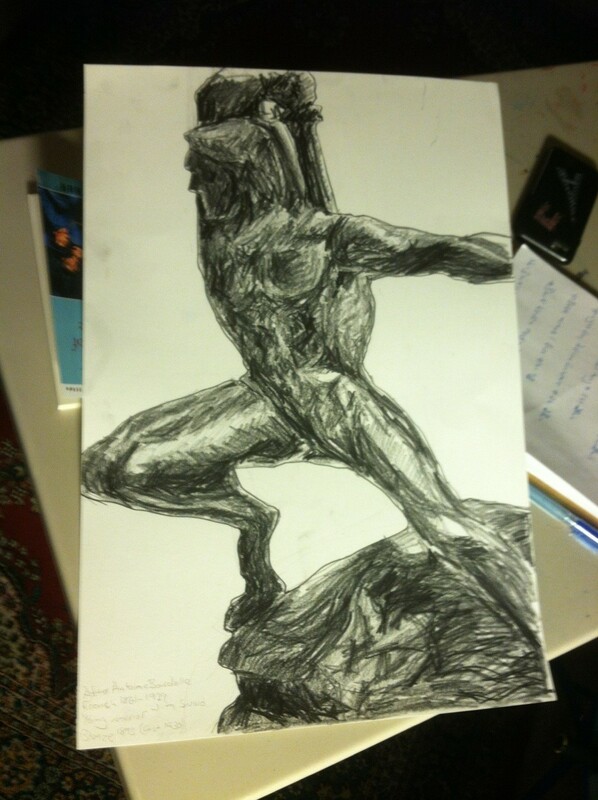 It’s a drawing based on a sculpture by the French artist Antoine Bourdelle. It’s called Young Warrior With a Sword, but I have dubbed it- Checking My Pits Before Battle. 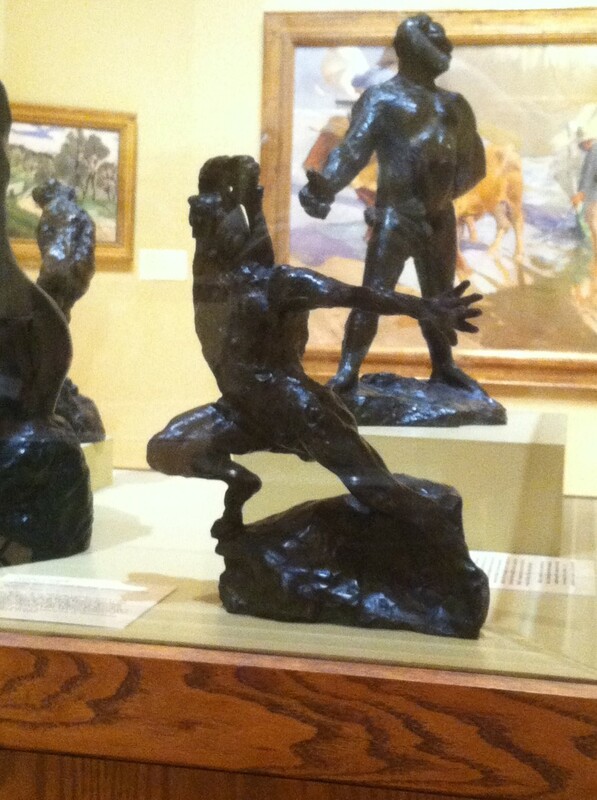 Here’s a pic of the actual sculpture in bronze. I think that guy in the back would have an easier time hitch-hiking if he put some clothes on. Always check ones pits before battle, never pick up a naked hitchhiker… those are both solid, time tested, pieces of practical real world advice.